bzimport set Reference to bz67830. 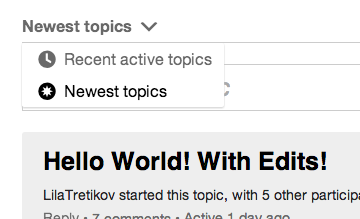 In the case of the screenshot, remove "Recent active topics" from the menu items. There should only be one menu item, not two.